Exim is a message transfer agent (MTA) developed for use on Unix systems connected to the Internet. It is freely available under the terms of the GNU General Public Licence. In style it is similar to Smail 3, but its facilities are more general. There is a great deal of flexibility in the way mail can be routed, and there are extensive facilities for checking incoming mail. 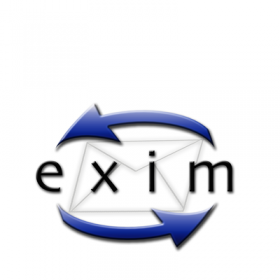 Exim can be installed in place of Sendmail, although the configuration of Exim is quite different. Exim aims to be a general and flexible mailer with extensive facilities for checking incoming e-mail. Exim has been ported to most Unix-like systems, as well as to Microsoft Windows using the Cygwin emulation layer. Exim 4 is currently the default MTA on Debian GNU/Linux systems.